I haven’t read this one, but I have the Smith omnibus and hope to get round to it soon. I agree that Locked Room International do a truly excellent job. I am really surprised that Derek Smith isn’t better known. Perhaps because he didn’t really make a career out of writing. I really enjoyed this and I think you will, too. Chrissie, you just made me get hold of Whistle up the Devil, and now you’re forcing me to look for this one too! What are you doing to my TBR? And what are you doing to mine! We are bad influences . . . But it is fun! BTW I have just reread more of the Block Scudder novels and some of them feature horrible violence towards women – could not recommend. You have to pick and choose, I think. Christine, many thanks for the kind remarks. I think you’d also like any of the Paul Halters (the successor to John Dickson Carr). Or the Japanese “Decagon House Murders” (honkaku= Japanese Golden Age-style). My pleasure. 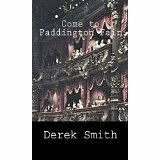 I thoroughly enjoyed both the Derek Smith’s and will take a look at the others that you published.